Let's face it; we humans rarely abide by the Earth's natural day/night sleep cycles. Electricity has created artificial light (not to mention television!) to allow all manners of work and play to exist deep into the dead of night, and most sleeping quarters provide blinds or curtains to block out the arousing rays of the morning sun. The result is that some of the mechanisms that have evolved inside us to assist with the sleep process have been thrown askew. One of these mechanisms involves the hormone melatonin. In a normal, pre-electricity scenario the pineal gland would release melatonin at the onset of darkness to help induce a desire to sleep. However, artificial light, especially high-frequency blue light from visual electronics has been known to shift the release of melatonin, which can perturb sleeping patterns. 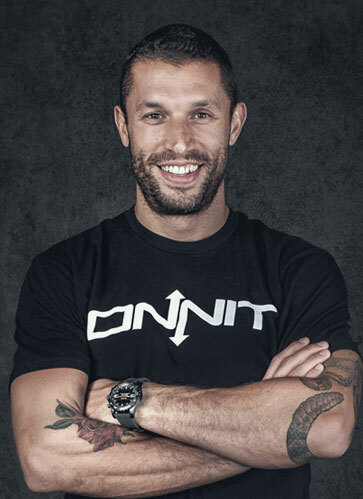 Onnit is committed to the highest standards of quality and efficacy in our products. We have independently certified many of our products to be competition safe, and we're actively pursuing as many certifications as possible. NSF International is an independent and accredited non-governmental organization whose mission is to protect and improve global human health. We do this by facilitating the development of public health and safety standards through our Standards group, and by testing and certifying products and systems to those standards through our service groups. Certified products and systems earn the NSF mark, which is respected by consumers, manufacturers, retailers and regulatory agencies. 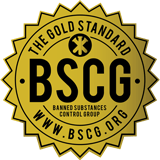 Deeply rooted in science, we are widely recognized as the “gold standard” for quality in such areas as water systems, food safety and health sciences including dietary supplements. I do some of my best work at night, and as much as I try to limit blue light exposure, light entering my eyes is inevitable. Before I started using melatonin I would toss and turn in bed, counting down the hours until my alarm, which as we all know just compounds the problem. With melatonin in my arsenal, it’s like clockwork. I take it 30 minutes prior to when I want to sleep, and I easily drift off into dreamland. I even find it helps me fall back asleep if I wake up in the night or early morning. The spray format is a game changer — it is ready to go when I need it and it works. Then in the morning when the light hits my eyes again, after a few minutes I feel recharged, rested, and ready to own the day. 1) Limit blue light exposure during night time hours. Use blue light filters on your phone and laptop when available. 2) Stay hydrated and mineralized. Onnit Key Minerals and himalayan salt are great to take before bed. 3) Distance yourself from high output electrical devices. 4) Block out windows and curtains, so that melatonin stays high until you are ready to wake up. 5) Avoid high sugar foods before going to sleep, to maintain steady blood sugar and insulin levels. Can I take melatonin long term? Melatonin has been shown to be suitable for long term use in research lasting up to two years.† This is good indication that long term use of melatonin is well tolerated by the body.